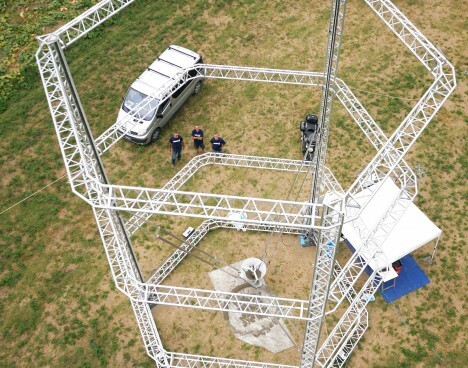 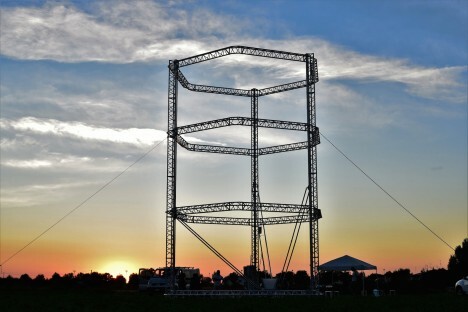 Able to print full-sized structures from mud and clay, this 40-foot-tall 3D printer represents a huge step toward printing affordable housing from free materials. 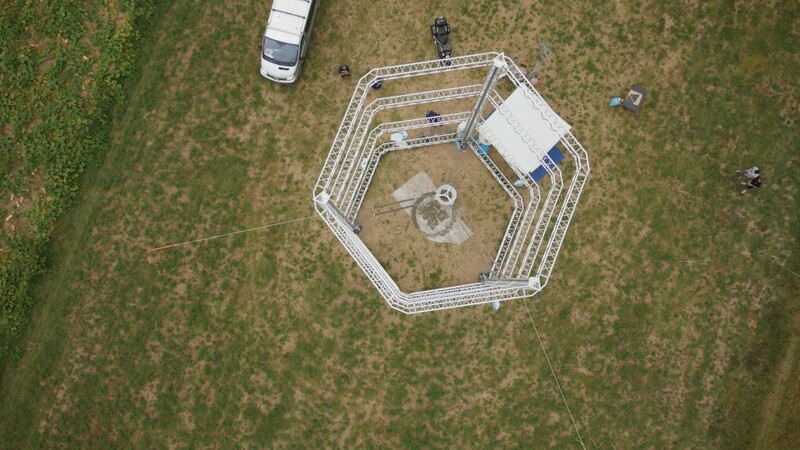 The project was unveiled yesterday, debuting with a live demonstration at a three day rally event in Italy along with a series of workshops and conferences. 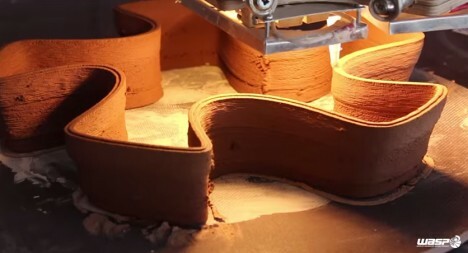 Representing a hybrid of biomimicry, new technologies and ancient building techniques, the BigDelta printer from World’s Advanced Saving Project (WASP) draws inspiration from natural and human precedents. 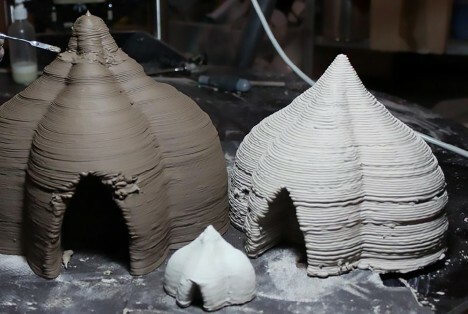 BigDelta’s structural strategies and resulting home shapes are informed by a breed of wasp that constructs mud homes as well as a long human tradition of creating earthen dwellings. 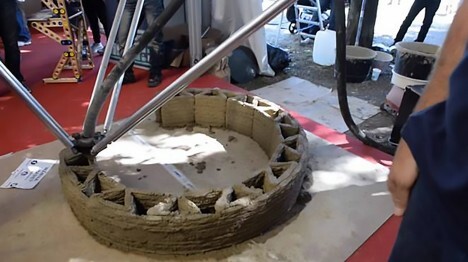 Building with water, dirt, clay and plant fibers taps into a set of plentiful organic resources, reduces environmental impacts, obviates the cost of and need to ship materials and provides naturally robust and insulated housing shells. 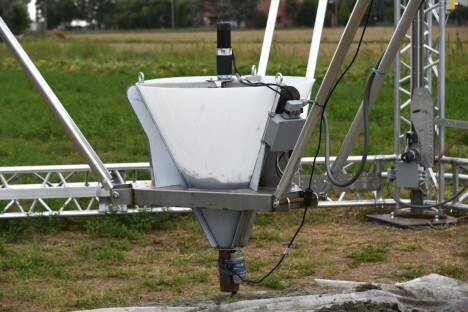 The lightweight steel frame of the printer itself, supporting a giant printing nozzle suspended in its open center, is easy to collapse and transport between construction sites. 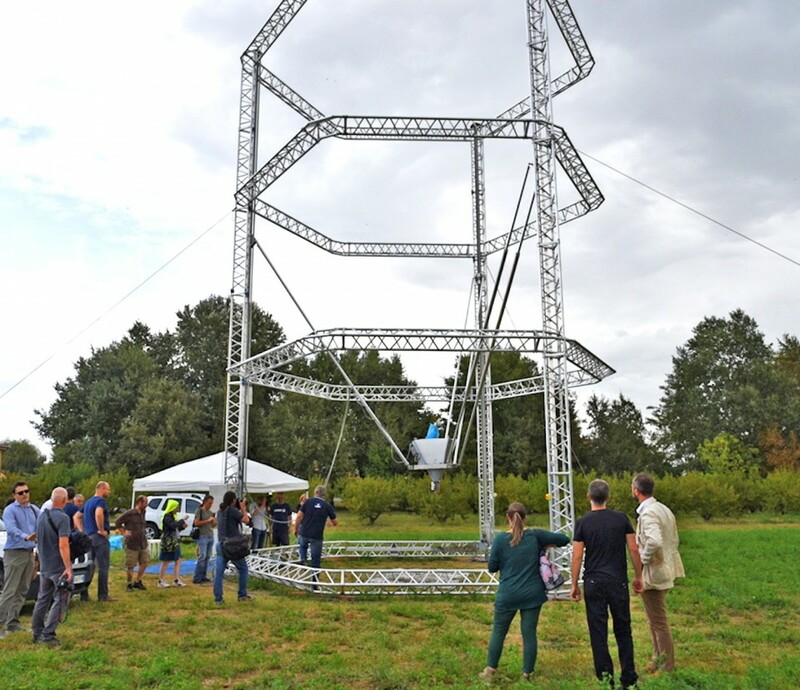 This larger model follows a smaller Delta prototype used to execute a series of complex geometric structures at reduced size, testing the technology and materials.